Experienced local tour operator, based in Lima, offering tailor made packages to enjoy Peru and its culture in a way suitable our clients' interest and needs. 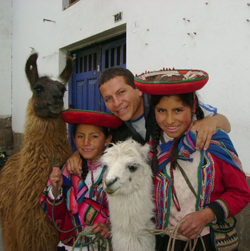 We have spent over 10 years designing customized tours Peru. Our objective is to provide friendly, intelligently organized and attractive personalized travel packages and extensive information about hotels, destinations, travel tips, maps and restaurants among many others, all meant to turn your stay in Peru into a wonderful journey. You name it, we can arrange it. 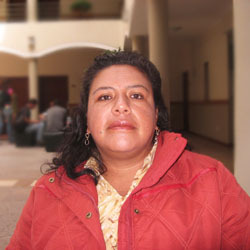 After graduating from college in Lima, Rosario lived in Cusco for a year working as Management Assistant at Hotel Monasterio, a 5-star hotel considered the best in the city. She worked then seven years in Sonesta Posada del Inca Hotel Chain as Sales Manager and afterwards was part of the team that launched Casa Andina Hoteles, Peru’s most important hotel chain. While she was working there, Casa Andina opened a total of 11 hotels along Peru’s most important tourist routes. Her experience in tourism has given her the opportunity to travel extensively nationwide and abroad. 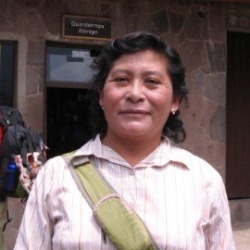 Rosario’s love for her country has increased throughout the years thanks to her work, which has allowed her to know in depth Peru’s geography, people, festivities and cuisine. 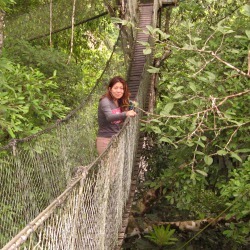 Her expertise allows her to give travelers the best advice on how to visit Peru’s beautiful towns and cities, as well as its extraordinary nature. She will prepare the perfect itinerary for you. Rosa Amelia studied Administration and Entrepreneurial Management and complemented her education with several Tourism and Hotel Management courses. Her work experiences includes Sonesta Hotels Chain and Casa Andina Hotels Chain. During those years she specialized in preparing different programs for all kind of travelers, becoming an authority in terms of natural, cultural and entertainment attractions. The travel packages and itineraries she arranged included both sites and attractions requested by the clients as well as rarely visited and highly interesting places. Rosa Amelia's wide experience working in tourism and traveling throughout the country has given her a profound knowledge of the country; likewise, her service oriented personality and good team work allows her to go beyond what is expected giving travelers the best advice possible. She will guarantee you an unforgettable experience. Carlos is proactive about new discoveries and adventures. He travels every year to the most important tourist destinations looking for off the beaten track sites and special places to offer our travelers. 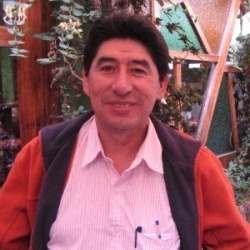 He is deeply knowledgeable about the Peruvian history and is very keen to share all this information with anyone interested about our Peru. Carlos came from a creative, design and printing industry. However, this entrepreneur's background is an asset because no aspect is worthless to provide the best to our clients. After studying Administration, he also took culinary courses. 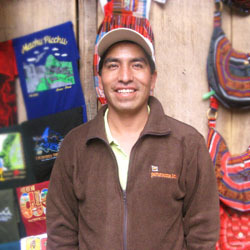 Carlos is a passionate entrepreneur who wants to make his dream come true by opening his own restaurant and show travelers the power of Peruvian culture and gastronomy, and the positive impact on the culinary world working together with farmers, fishermen and local food producers.